On Friday, Eight Palestinians were wounded by the Zionist police, during their participation, in 17th Friday, in The Return Marchand breaking the siege. 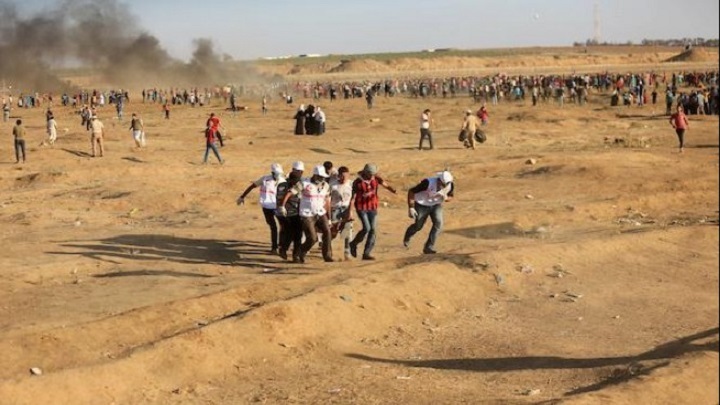 A large number of Palestinians took part in a march, under the title of Jumaa al-Wafa, east of Gaza City and east of Rafah, in the southern Gaza Strip. The citizens ignited tires to confuse enemy forces targeting citizens with sniping, as enemy forces continued to reinforce the Gaza Strip border.